Hey Rushville residents! BridgeMAXX is now in your community. We’ve expanded our service area by adding equipment to both water towers. Rushville is a town located in Southeastern Indiana, about 40 miles southeast of Indianapolis. BridgeMAXX Now Offers Internet in Rushville, Indiana. 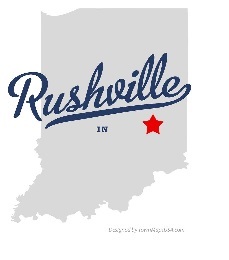 Like many of the other towns we service, Rushville is a community ripe with history and charm. Rushville has a strong sense of community, and BridgeMAXX is looking forward to becoming an integral part of a wonderful town. If you are a Rushville resident, check out all BridgeMAXX has to offer: Speed Packages start at a flat monthly fee of $34.95, which means you’ll never have to pay additional taxes or fees that seem to sneak into other company’s monthly bills. We offer no contracts and don’t require long-term commitments, so you can cancel at any tie. Bet of all, our data is unrestricted and unlimited, so you don’t have to pay extra to use more. Speeds range between 2Mb and 8Mb. Call us today to learn more about this exciting new announcement. Don’t go searching for reliable internet. Let BridgeMAXX deliver it to your door. 1-888-295-3424, Call us today. Like this post? Leave us a comment and let us know! And don’t forget to “Like” us on Facebook and Follow us on Twitter! This entry was posted in Towns Serviced and tagged bridgeMAXX, high speed, indiana, internet, wireless by Nichole Kanney. Bookmark the permalink.